Yes, it's an excuse to use a dreadful pun! Way back when Jay and I started this blog, we were looking with envy at the piles of cash being turned in by Fifty Shades of Grey, and deciding that we, with our demonstrated ability to write technical engineering documents with literally tens of readers, could quite clearly do much better. And earn even bigger piles of money, naturally. Having flirted briefly with erotica (Jay is still far too embarrassed to show me what she wrote! ), so far we have two children's books in progress, a thriller in the early stages, and a very long list of plot ideas (some of which made sense when scribbled down, probably after a rather inadvisable quantity of wine had been consumed, but are utterly incomprehensible now), our actual successes to date have been with two cookbooks to support the 5:2 intermittent fasting diet. Yes! You did read that right: two cookbooks! Following on from our 5:2 Breakfasts cookbook, which we're delighted to say has sold steadily since its launch, we've followed up with a book all about soups. Again, it's geared towards the 5:2 diet, so it's not a place to find rich buttery high-calorie mixtures, but any cookbook that gives you 84 recipes for under a dollar has to be worth a look. You might be interested in the diet plan as well. So please buy, enjoy, and let us know how you like it! Buy on Amazon here: Only $.99! For those of you who have been following the progress of our writings on our book projects, Jay and I have been harbouring a deep, dark secret. You see, we've been working on a book without telling you about it. Sorry, but there it is. In between the three (or is it four?) main projects we have on the go, we spontaneously decided to write a cookbook. 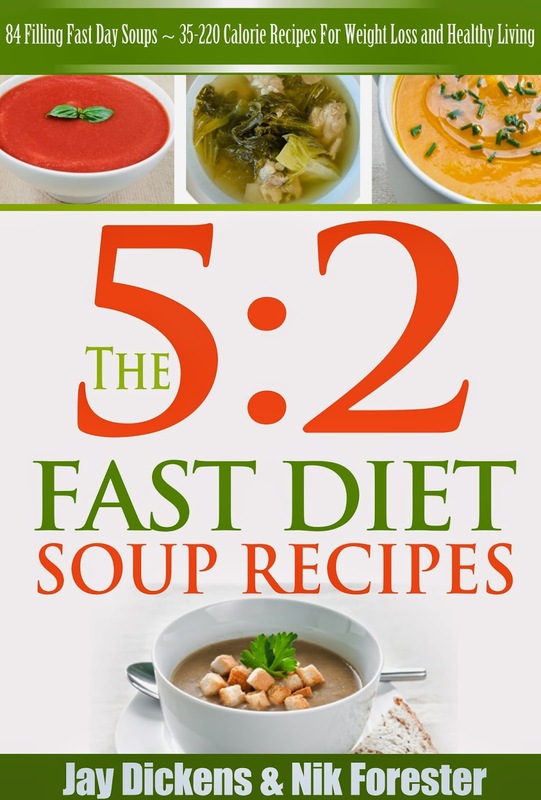 Not just any cookbook, but one for the 5:2 intermittent fast diet, that lets you eat what you want for five days a week as long as you're prepared to restrict your calorie intake on the other two. If you want to know more, buy the book! 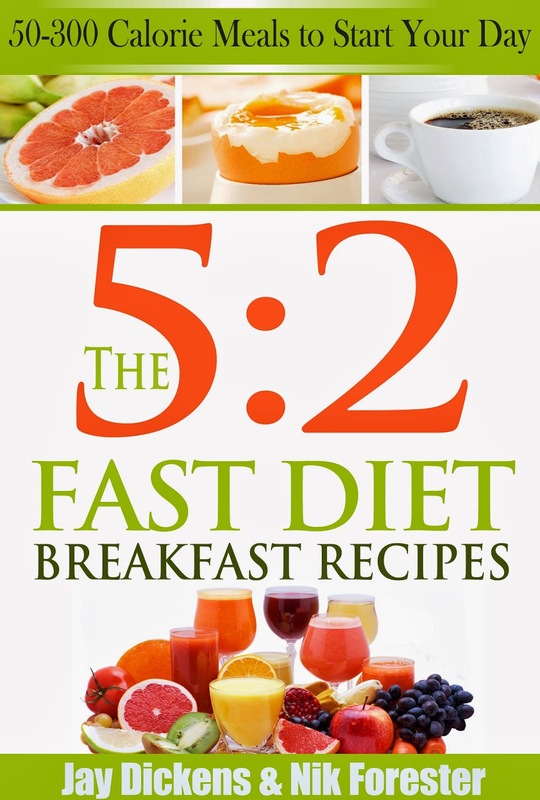 It has background on the diet and a range of breakfast recipes to go with it. In fact, you don't need to be on the diet to try some of the recipes! We're launching the book at a steal of a price, just $0.99 in the US and £0.77 in the UK. Cookbook #2 is launching soon, look for it in the spring!